We have established ourselves as a prominent entity engaged in offering the best Manual Call Point. 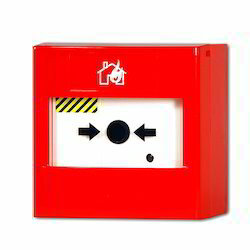 Manual call point is an active fire protection device that usually gets activated when the user pulls the handle down or presses the keys. Further, we also well check these devices at our end before delivering to the clients. Product description: We offer MCP MS Manual Call Point to our valuable clients. As per the needs and requirements of our clients, we are involved in providing Manual Call Point. Stand alone type MCP can be connected directly to 230V and hooter no need of Panel. With the help of our expert team members, we have been able to provide Manual Call Point. Matching up with the exact requirements of customers, we are involved in presenting a wide array of Manual Call Point Fire Alarm System. When operated, the manual call point interrupts the polling cycle and can report its address in under 0.2 seconds. 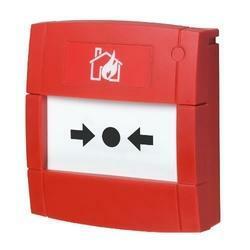 Perfect in size, these Addressable Manual Call Point are widely demanded in official and commercial areas. - Maximum volt. : 24 volt. We are considered as a dominant name in this business and are engaged in offering Manual Call Point.